Get ready, Shadowhunters. Because it’s happening! While filming with the cast is scheduled to start on Monday, filming of some sort began on Thursday. There have been photos from an outdoor Toronto set posted by crew members. No actors have been spotted on set, but there were a couple of stand-ins on set, who are probably filling in for the actors before filming begins. 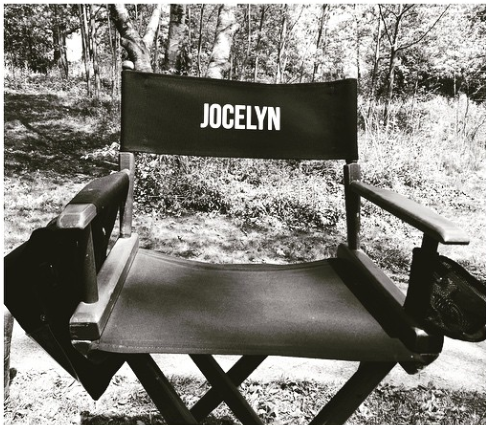 As for what scene they could be filming, it sounds like it’s one that might involve Jocelyn. Also, show runner Ed Decter (who recently joined Twitter) shared a photo from the crew getting set for a scene involving a pond of some sort. This is high park, just off of Grenider pond….it is actually a little ‘waterfall’ if you want to call it that. I need it to be January 2016 NOW!!!! Aaaaaaarrrrrg waiting is agony. I think waiting is fun when we see how it’s being made! Technically there’s nothing to wait for yet because it isn’t made. I have to say this all looks high budget! That camera that Stephen Fleet took a pic of is an ARRI and they are absolutely amazing cameras. This is going to look so good!! This is so exciting all the behind the scenes photos.. I love it!!!!! Maybe the pond is for when they go through to see the Seelie court? It’s a bit later in the books but, hey ho, it’s just a possibility c: Can’t wait to see what happens! yeah I was thinking that! The Seelie Court? 😀 Also omg the cast is so attractive, like, HOWWW????? Curious. The one stand in looks like the same girl from the back of the cafe in the movie. The terrible poem scene.